We already missed our flight and had to catch another, and now the ATM machine in Iquitos has eaten my card. Maybe this is a sign that we're in for a good adventure. Or maybe it's a foreshadowing of what's to come. 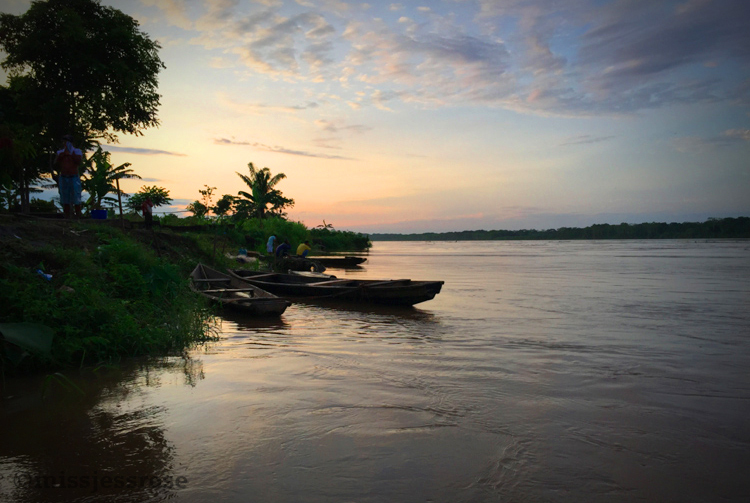 Either way, there's no time for contemplation; we have a boat to catch from Nauta, headed up the Marañon River deep into the jungle. This trip is far from a vacation. The purpose of our expedition is to visit two recent oil spill sites and document the devastation. Sometimes media coverage, especially if international, can instigate change through accountability. 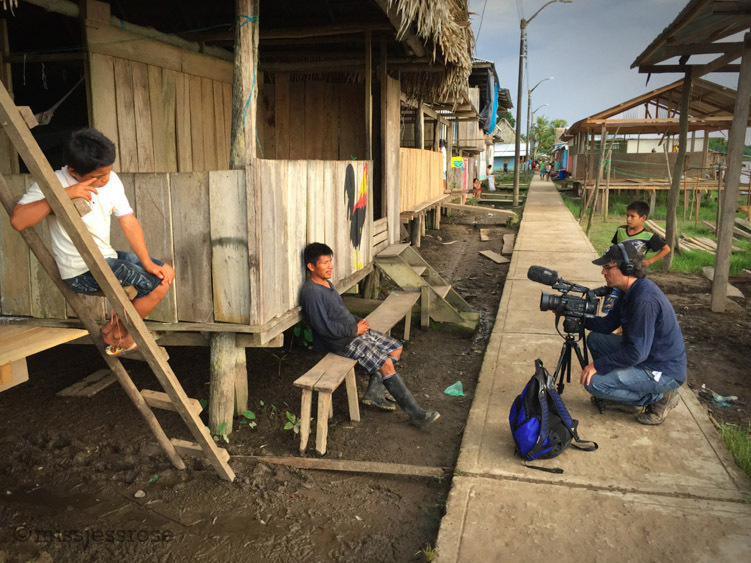 Our small team consists of a journalist, two documentary filmmakers, several environmental campaigners from two human rights NGOs, plus our leader Anders, an indigenous, environmental monitor who is committed to defending the rainforest by patrolling this region for unreported oil spills. Our boat is filled with whatever we could quickly gather this morning, presumably enough survival supplies for four days off the grid—gallons of water, rice, bags of pineapple and bananas, and four live chickens. We each have tents and hopefully enough dry bags to keep all of our camera equipment safe from rain. The one safety item we have forgotten is the emergency satellite phone, but fingers crossed we won't need it. Boating up river for hours is like a meditation, steady and slow. The Marañon is wide, murky brown, filled with floating debris and sometimes pink river dolphins. It flows never-ending into the distance. Skies are clear and blue, rain holding off for now. This is the easy part of the journey. 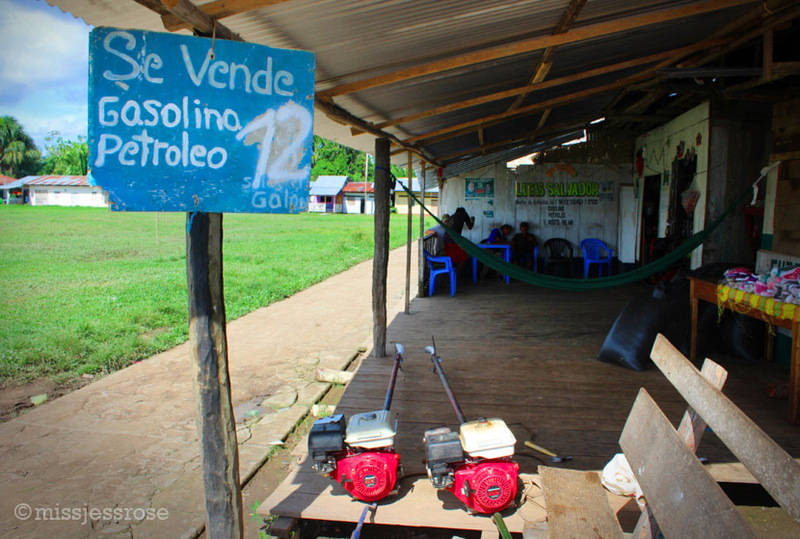 Hours later, some 130 miles upriver, we stop for the night in Saramuro, a remote refinery village run by the state-owned oil company Petroperù. It is illuminated with electricity run by generators, which seems out of place so far in the jungle. 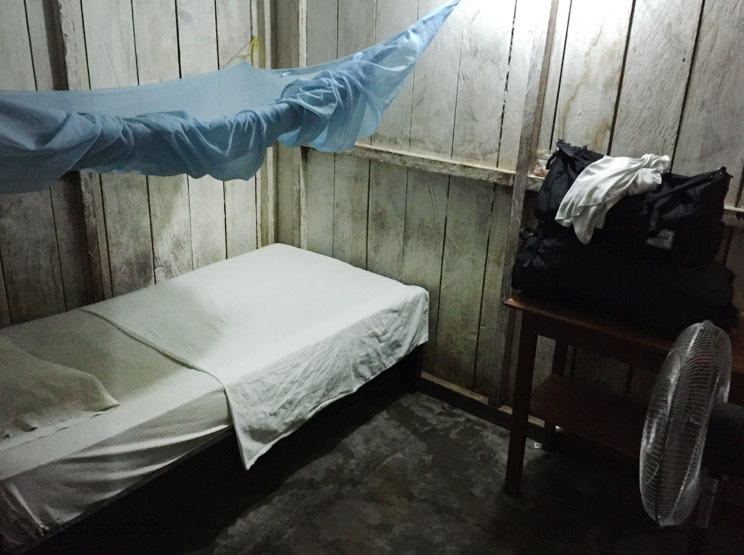 We take rooms in a dingy, low-ceiling oil worker hotel where the walls are made of thin wooden boards and some of the sheets have Petroperù's logo printed on them. A family of four squishes into the room next to me with only a single bed. It's dark and humid but the mosquito net and unexpected fan seem like small miracles. Before bed we eat salty rice and fried chicken outside as the sun sets on the Marañon River and the bugs come out. I'm reminded that, while romantic from a distance, the jungle is not exactly the most physically comfortable of environments. Bug repellent is futile here. Invisible creatures bite through my long sleeves and within minutes I'm itching like mad. Mosquito bites I can deal with (unless of course the mosquito gives me malaria or dengue in which case that would be terrible), it's the infamous insango I dread. This little buddy apparently loves to burrow into warm skin and hatch itchy babies there. Pro-tip for avoiding insangos: do not walk or pee in the grass (especially if you're a girl). Beneath dingy fluorescent lights, I ask Anders, the environmental monitor, why he does his work. His lashes are long and dark and although he's seen much devastation, his demeanor is calm. 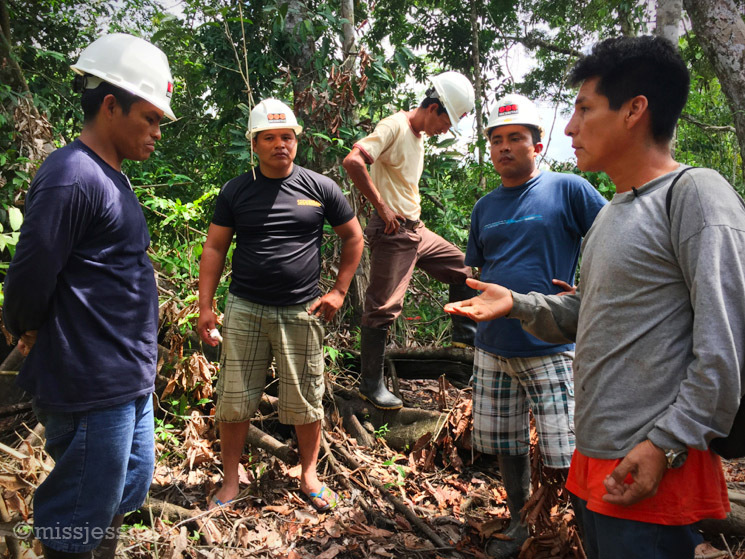 He explains that the reason he patrols the rainforest for illegal, unreported environmental violations such as oil spills and deforestation is for his family. He talks about growing up on the river and how he cannot bear to see it contaminated from industrial development. He tells me the same story I've heard dozens of times—because freedom to life is a basic human right and it must be defended. Anders, 36, doesn't get paid to spend weeks away from his wife and four children to do this. I don't understand how he makes money, how he survives, but I do understand the desperate necessity of what he's doing. This place is his home and he hopes that future generations can live simply and freely just as he once did. But the reality isn't looking good. For thousands of years the rainforest provided indigenous peoples with all they needed for subsistence and income. 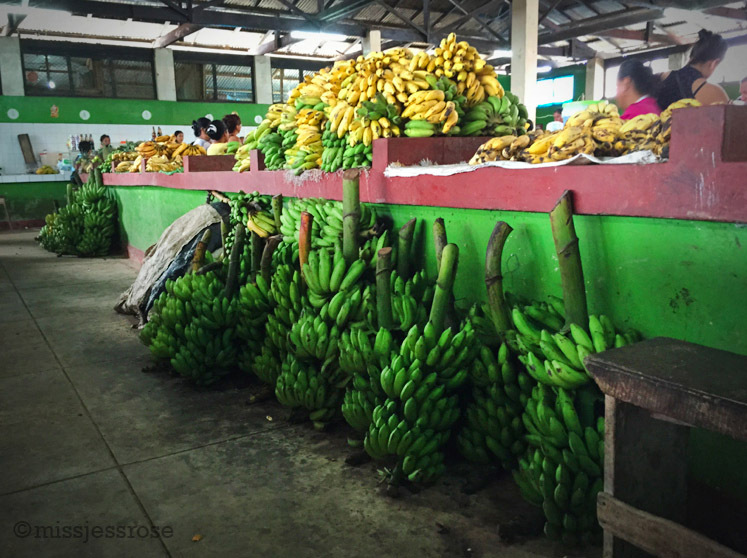 It gave them everything—fresh food, water, life. Now, after decades of drilling, many of these territories are ravaged by oil contamination. 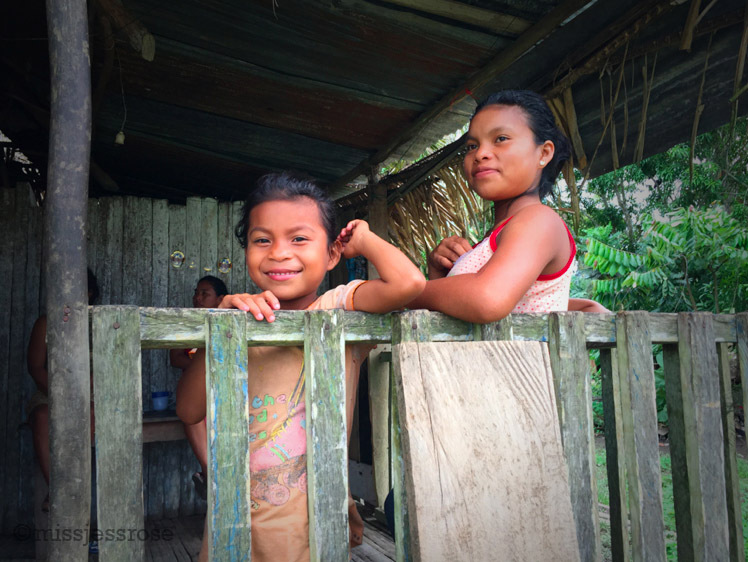 More and more, people who lived in sustainable balance with the forest are being forced into a life of poverty, another unintended consequence of the oil boom. The two recent spills we will visit, both of which occurred in the last six months, have completely disrupted the Kukama people's way of life. Fish have died and the river is toxic. 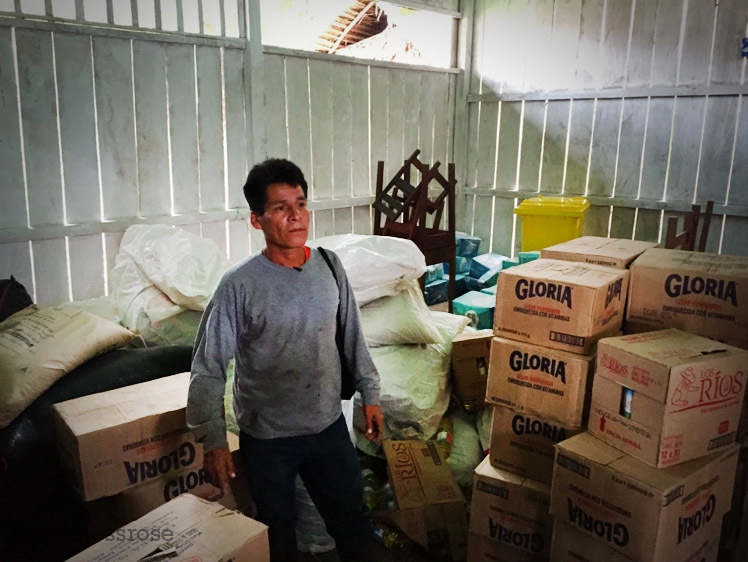 They know they can't survive this way—on Petroperù's rations of canned tuna and bottled water. But for now they must. 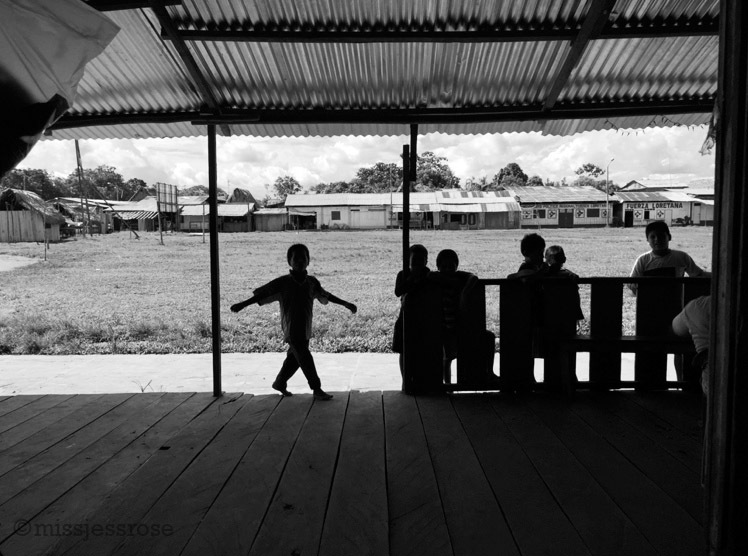 These communities are emblematic of dozens more in the Amazon basin. 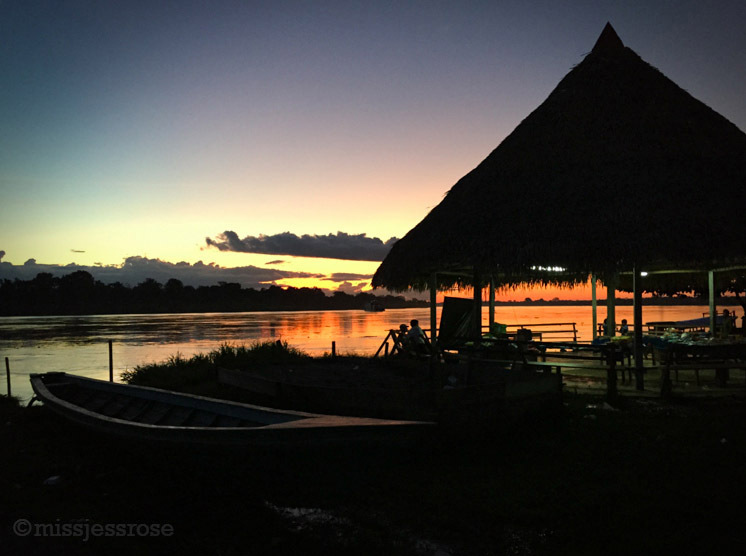 About 845 kilometers of decaying Petroperú pipeline stretch across the Northern Peruvian Amazon, crisscrossing expanses of untamed forest. Since June 2014, there have been five separate breaks in this pipeline alone. The first spill we visit gushed an estimated 6,000 barrels of crude into the Cuninico tributary six months ago. 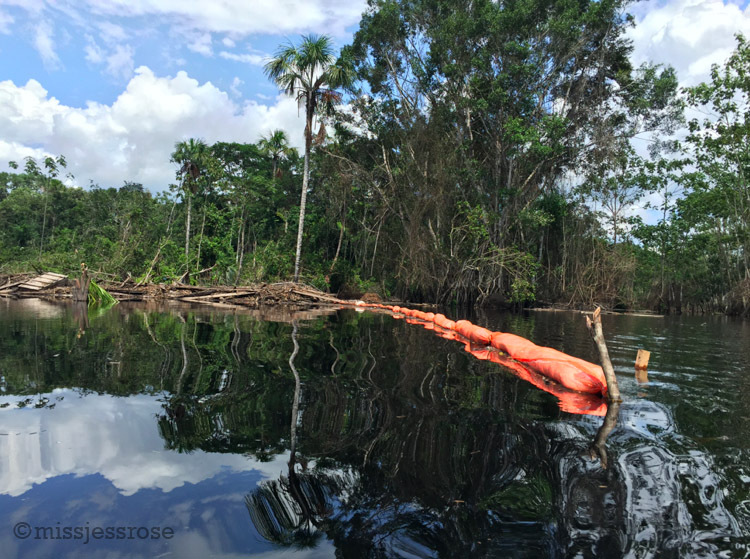 As far as Petroperù is concerned, this particular spill is now officially remediated. But indigenous locals report otherwise. The water is still contaminated, the fish are dead, the community knows that the problem has not been solved. 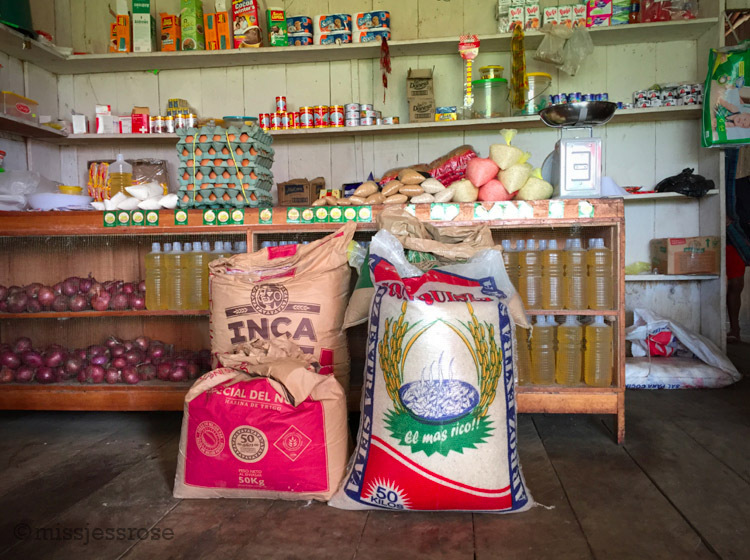 The Peruvian government gave up 75% of the rainforest to oil companies in 2008, and ever since, oil development in this region has expanded. Last year, the government loosened environmental regulations even further. It seems irresponsible and insane, as if the government is intent on a suicide mission. The next morning we wake before dawn, leaving the creepy refinery village of Saramuro behind us. It's a few more hours before we reach the Cuninico oil spill site. 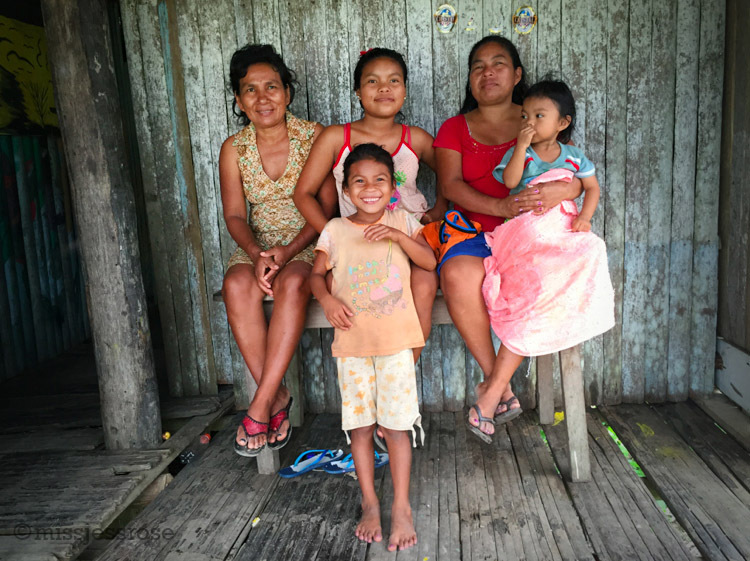 Along the way, we stop at the villages of both San Pedro and Cuninico, introducing ourselves to indigenous Kukama community leaders and explaining our mission. Later, we will return for interviews and hear more about their struggle since the contamination. Finally, we arrive at the spill. Four Petroperù security guys materialize almost immediately from the jungle to greet us and question why we are here. In our defense, the Kukama community leader explains that this is his community's land and that he is free to take us to see the spill. The security guys are not aggressive, but obviously worried. One of them hands us a clipboard and asks that we write down our names. I find this request absurd, but we pass around the clipboard, leaving a list of names that is equally a joke. Let me tell you something about what it feels like to see an oil spill disaster in the middle of the remote jungle: it is so horrific it hurts. To be someplace this remote and to see such destruction is absolutely paralyzing. The entire thing is just so obviously wrong. In order to view the extent of the destruction, we take to the water, which is dark and black with a sheen. Cesar, a strong, 60-something Kukama leader paddles us down a two-kilometer stretch of the spill in a dugout canoe. At some point, I realize that we are casually taking on water. Luckily there is half of a plastic two-liter soda bottle meant to solve this problem. As I bail, we stop to look at brown, mucky clumps of oil. Swimming in this toxic waste pit would be a nightmare. 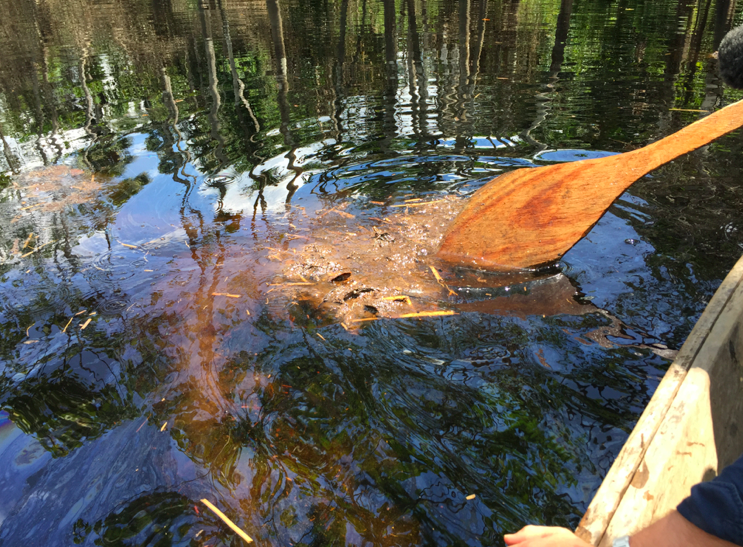 We continue to canoe several kilometers along the segment of pipe that burst. We are basically floating on oil. The degrading 40-year old pipeline sits beneath us, a few meters underwater. We can't see it, but we see a series of giant wooden structures with cranes, behemoths meant to lift the pipeline into position. This place feels like the beginnings of a wasteland, which is crazy since I've known the Amazon rainforest to be such a lush, biodiverse wonderland of life on previous visits elsewhere. Cesar points out clumps of dried oil on the roots of a fallen, dead tree. Crude has permeated everything. Three Petroperù guys motor canoe over, continuing with their charade. They take cell phone photos of us taking photos of the destruction. I find this simultaneously amusing and infuriating. By now I have a headache. I ignore it, but later realize that we all have headaches. We've been floating on a massive pool of crude and chemicals after all. Some of the filmmakers on our team are familiar with hydrocarbon headaches given that they made a few films about fracking, but for me this is a first. Physically I feel terrible, and am relieved when it's time to turn back. On the slow ride out, I wonder what Cesar and his community will do. I think about how easy I have it back home in the States. I have the choice to retreat to a clean, safe bubble, a place that I call home. These people have lost that choice. 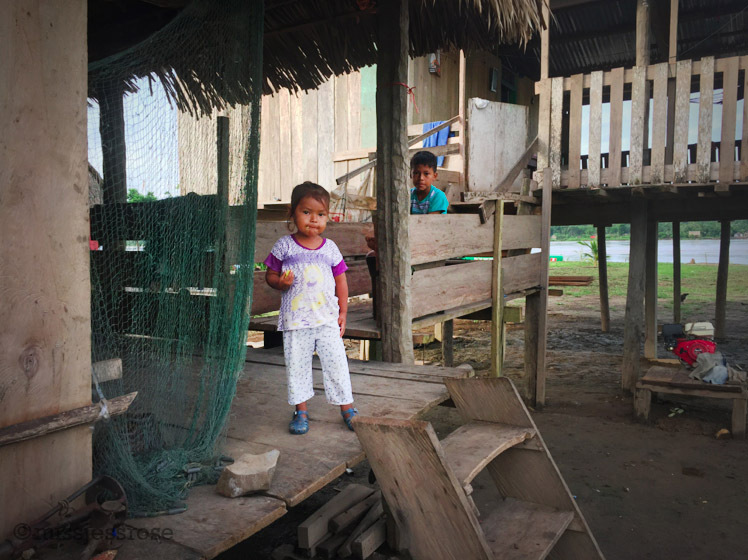 When an oil company remediates a spill out here in the remote jungle, they hire dozens of local indigenous people to do the dirty work (remember, these are the same people who have just been poisoned by an oil spill). A worker's main task is to make the spill invisible rather than actually clean it up. 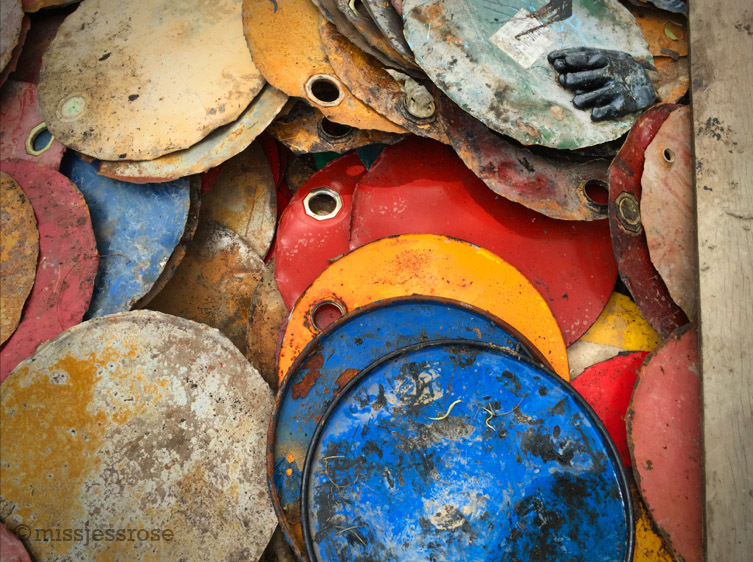 Buckets of crude are hauled by hand and dumped into large, temporary plastic pools, which are then presumably shipped out of the area. Toxic chemicals that bond to the oil—dispersants—are sprayed on top of the water causing the whole mess to sink to the bottom. To be clear, dispersants do not reduce the amount of oil in the environment, they simply make it visually disappear. This combination chemical cocktail leaves the rainforest even more toxic than before. Using dispersants and oil booms are standard "remediation" procedures for spills, even in modern times. Both of these practices are essentially useless. You guys. Think about this for a minute. It is insane. In 2015, as a species we are fully aware of the consequences of drilling for oil, we have the technology and brains to prevent sloppy extraction processes, we even have the know-how to create alternatives entirely, and we simply just don't. I'm not trying to be depressing. But seriously? It is far beyond time that we create stringent regulations and functional solutions because, guess what!? They exist. Oil companies must be forced to pony-up the cash to do what it takes to drill more responsibly, to clean up their messes, to find another way. Otherwise, humanity's existence will continue it's slow and certain demise. Just as we arrive ashore after an hour or so of exploring, two new Petroperù oil executives with hard hats march over to talk to us. This time, it's an environmental engineer and a PR person who have come to explain a few things. Strange then, that when asked to go on camera for an interview, they refuse. The PR woman snaps photos of us. One most excellent bit of propaganda she spews off record is that the spill was caused by local indigenous peoples themselves. I am shocked she has the nerve to say this. She claims that locals came all the way out here, dove under a few meters of water, and hacked away part of Petroperù's rusted, 40-year old pipeline in order to use the material for something else. Blaming the victim is such a classic and insulting PR strategy. I wonder how she, as a human too, can believe her own lies. 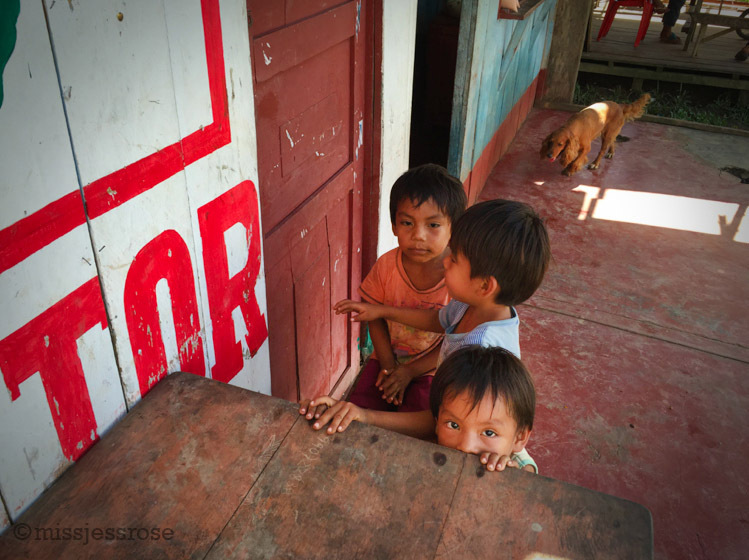 Back in Cuninico, the community clusters around us staring as we gringos disembark from our boat with cameras. It is slightly embarrassing. I feel like we are putting on a silly little show with all our gear, which is such a contrast to where we have arrived. But the locals are eager to talk about the disaster. 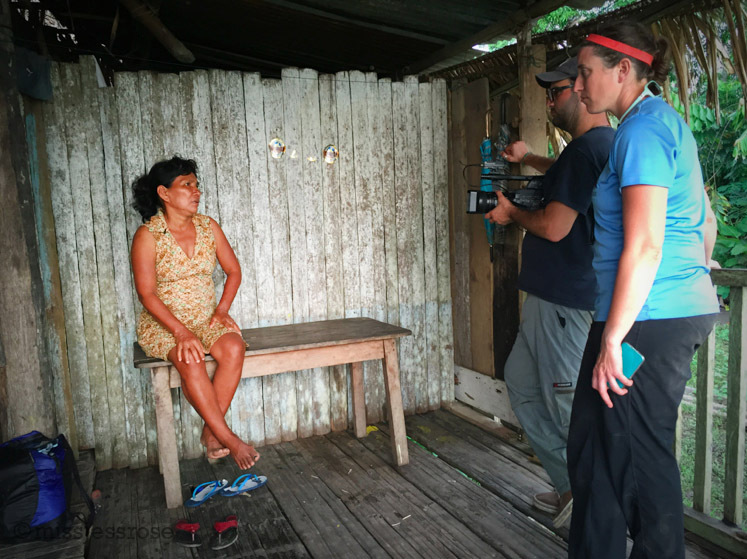 One by one we interview community members on camera. Their stories are the same. They are worried and upset about the oil contamination. They are uncertain about their future. 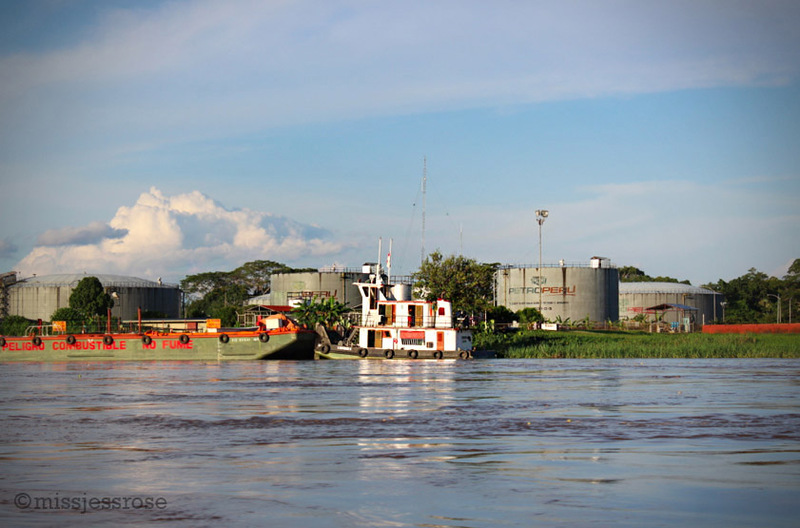 Petroperù has been delivering rations of canned tuna, rice, and bottled water for the past six months since the fish have died and people began getting sick from the river water. But since the spill is now "remediated," deliveries have stopped. It just so happens that yesterday was the last shipment. The community, made up of some 130 families, doesn't know what will happen next. One man who was hired by the oil company to do cleanup shows us a Powerade bottle filled with a yellow, slightly milky substance. We open it. It smells like toxic chemical with a hint of lemon. This is the solvent Petroperù distributed to the workers in order to clean crude oil off their skin after a day's work. It is dispersant. Dispersant is known to cause longterm health problems such as reproductive damage (genetic mutations), endocrine disruption, and cancer. Again I am shocked, but I guess I shouldn't be. I already know that the men weren't given proper protective suits for their work. Many wore just rubber boots and gloves. I wonder if they understand the risk. Now that some of them are sick, I wonder if they regret doing the work. I wonder what the executives who work at the oil company think. I wonder if they are aware of the chemical exposure they put these people through. I wonder if they would treat their own family members with such negligence. I wonder why we can't all just be truthful about the reality of this kind of stuff. It is a basic human right. The wind is strong now and rain is coming. We end our interviews and climb back onto our boat. We too, leave the community filled with uncertainty, knowing all too well the wake of destruction oil companies leave behind them. The sky is blue pink and the wind at the bow of our boat feels clean, washing away my headache and clearing my lungs. I try to process all we've seen. It's depressing. It's also unsurprising. I know that this single oil spill is representative of so many more. I also know that oil companies have been operating with this level of blatant injustice and irresponsibility for decades. And I understand why—corporate Capitalist culture was not designed to value what truly matters most. I think about how crazy all this is—that we've created systems that force devastation and suffering onto others by knowingly violating basic human rights, and that we are not urgently trying to do something about it, to regulate or stop it. Collectively we are are smart enough to know that this is wrong. Turning a blind eye is easy, I know. Yet what is our ethical responsibility once we understand the truth of it? The Kukama people want their stories told, they want others to know the truth of their reality so that something changes. They did not ask to live this way—to have their homes destroyed, to have their livelihoods and futures stolen from them. Oil did this. It continues to do this. We can and must do something to change it. We have to at least try. Because it is better to have been on the side that tried rather than the side who turned selfishly away. I think about all this, exhausted and overwhelmed. I'm aware that our journey to San Pedro tomorrow will be much more challenging—the oil spill there is fresh, just ten days old. It is also more remote. But for now, a meal of salty rice and then sleep can't come soon enough. 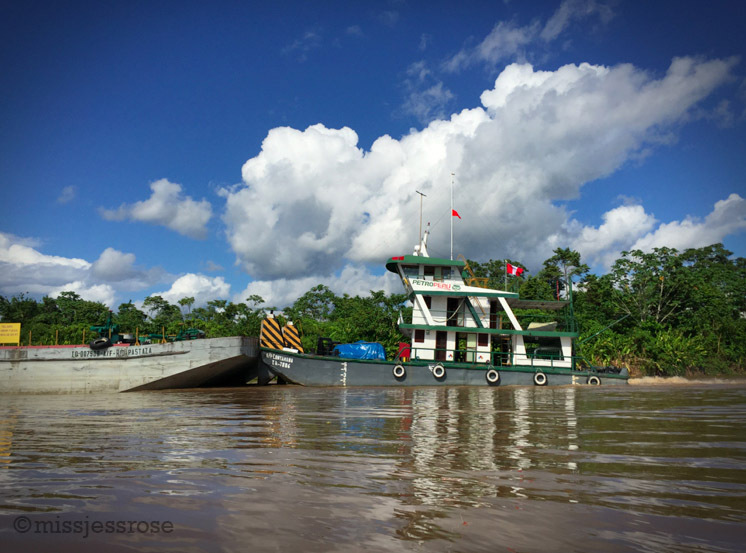 Read Adventures & Oil Spills in the Peruvian Amazon, Part 2 here. 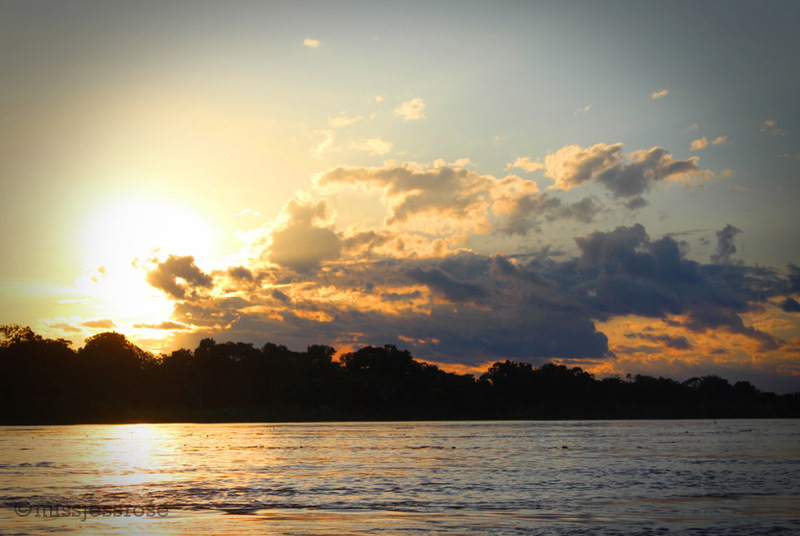 To learn more about what you can do to stop industrial development in the Amazon basin, check out the nonprofit Amazon Watch, an organization that is working to support indigenous rights and protect the rainforest.